The photo doesn’t do it justice. This is hands-down the most refreshing summer drink ever. California lemons … mint plucked fresh from the garden … lotsa ice … and this mint syrup from the River Cottage Preserves Handbook. I made a batch of it a few weeks ago and have splashed it here and there — into iced tea, into lemonade, and one morning into a hot mint tea. Anyone who’s a gardener will understand if you plant mint, you don’t end up with a nice little patch: you’ve got a mint monster on your hands, a rapacious, cunning runner of a plant that sneaks into the most unlikely places when you’re not paying attention. The root systems are complex and virtually indestructible and manage to overwinter quite nicely, thank you. Nurture one little sprig in a water glass on the counter, throw it thoughtlessly into an untended spot in the garden and whammo, it’s a mint-infused life. But hoo boy, this beverage is the bomb — and it uses quite a bit of mint. I grabbed a good handful of mint sprigs and stripped them of their leaves, yielding a generous cup of fresh minty goodness. I put it in the blender with about a half-cup of lemon juice then thought, why not sweeten it with mint, too? Inspirational! 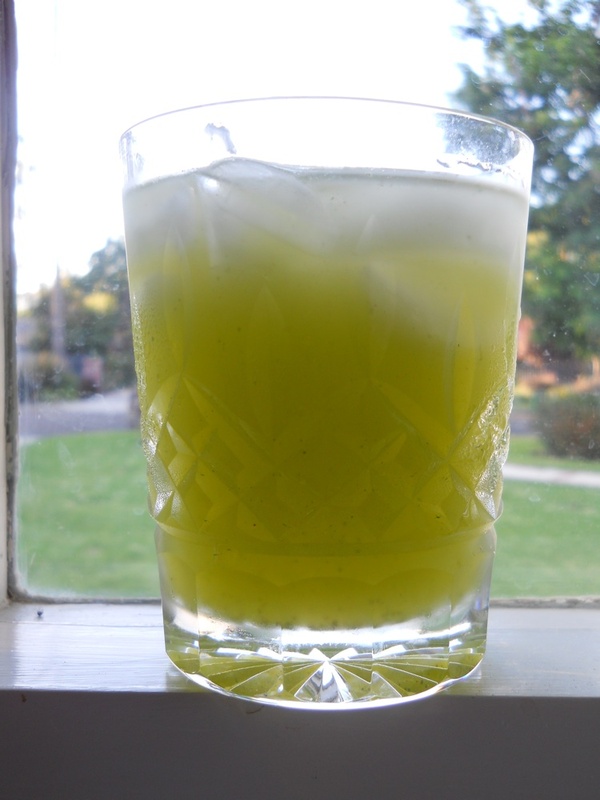 I used a goodly amount of the mint syrup – about ¾ c. in all – and a cup or so of crushed ice. Whirred it around until it was pureed then strained out the pulp. I got a good pint of mint lemonade concentrate, nice served all by itself. But throw in a little rum – or vodka, my preference (I know that’s not a true Mojito but okay, call me a rebel) and you’ve got a refreshing, relaxing, summer-evening-kind-of-drink to lull you past the heat. The winter apricot tree is bare and there isn’t much to do, other than pruning. We watch and wait, and in the spring its smooth, mahogany colored branches begin to bud. A few leaves poke out, then the blossoms burst forth smelling strongly of sandalwood, bees buzzing from flower to flower, pollen baskets full and fuzzy. As the days grow longer, tiny green fruit appear, dressed in the flowers’ remains. They grow slowly until all at once they’re ripe. 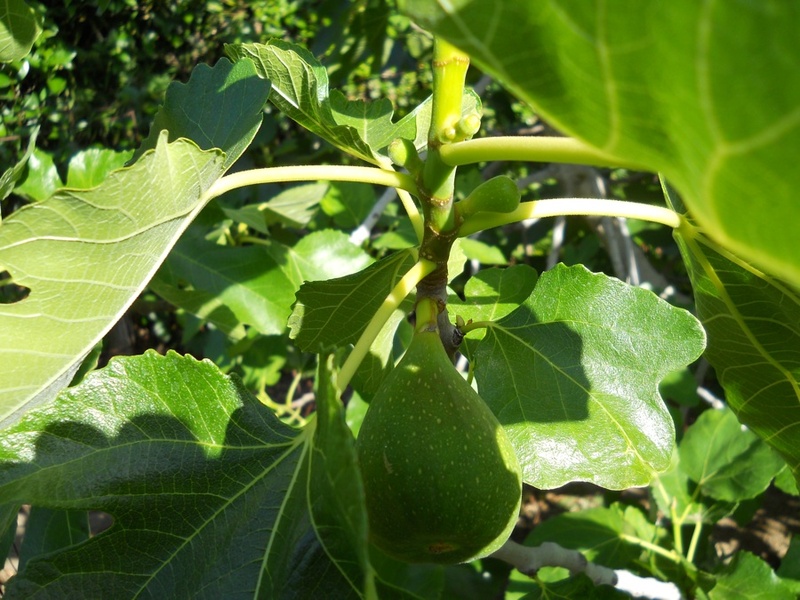 Squirrels feast on them, birds peck at them and I spread a cloth under the tree and shake its branches, hoping to get more of the harvest than the freeloaders in my garden. 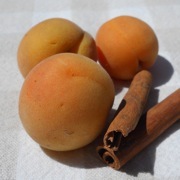 Apricots ripen nicely on the kitchen counter, their fruity aroma intoxicating us for a few days. We eat as many as we can, then pack the rest into jars with sugar and spice so we can have the warm spring flavor in the winter months that are sure to follow. Cottage Industry Apricot Butter is available in limited quantities and only for a short time. Made with fresh Blenheim and Royal apricots from local pesticide-free orchards, each batch is lovingly coaxed into perfection, bottled and labeled and ready to grace your morning table. 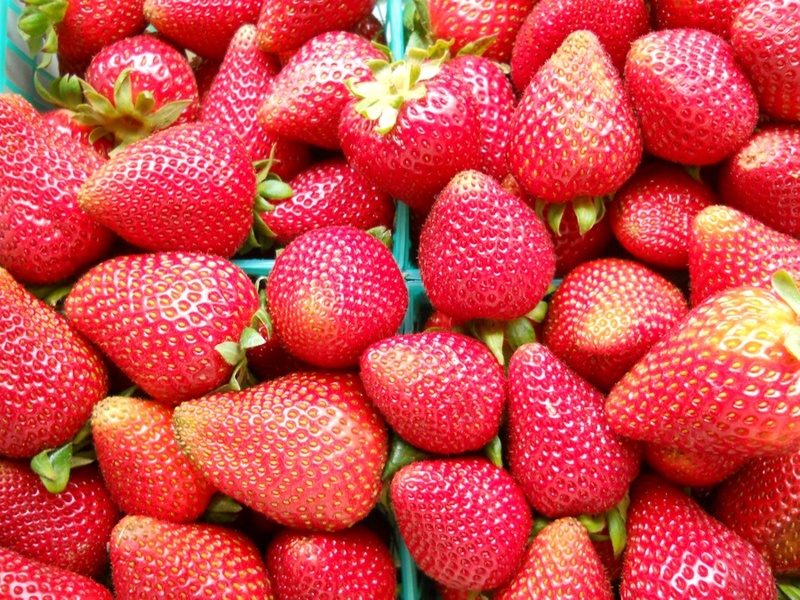 Spring is here at last — the weather has been odd by Southern California standards, rather cool and wet — but that hasn’t stopped strawberries from ripening. 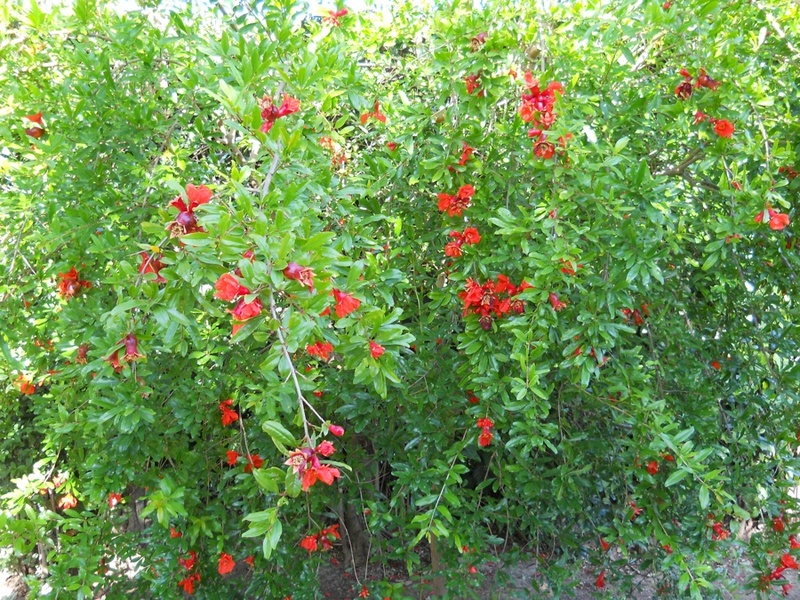 They’re lush and floral, fruity and sweet, and one of the most beautiful crops on earth. Strawberries are cousins to roses; you can see the resemblance when examining the flowers. Wild, single-petal roses are easily identified as family members, delicate petals surrounding the eager stamens, seducing the bees with their pollen. I partnered the strawberries with vanilla beans to add a layer of floral complexity, tiny seeds suspended throughout the ruby-red jam. Excellent on buttered toast, spread between the layers of a golden yellow cake or spooned onto a mound of creamy vanilla yogurt. The jam is available by special order online at http://www.MyCottageIndustry.net. 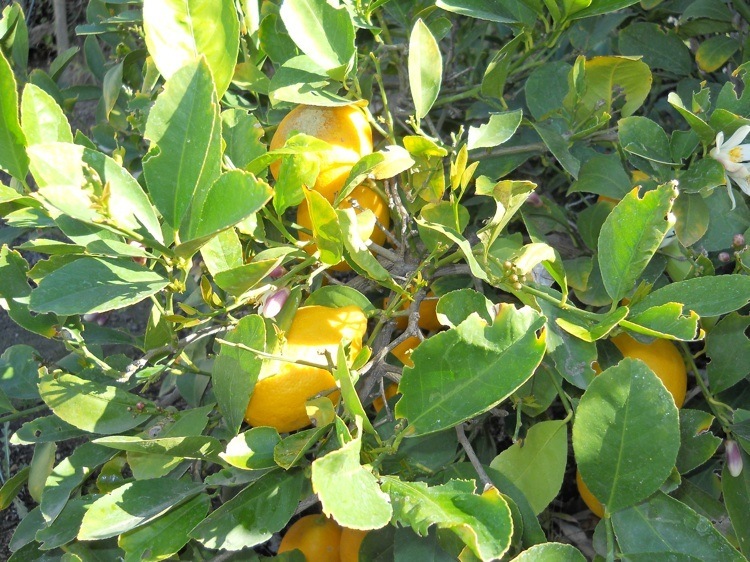 Summer oranges! 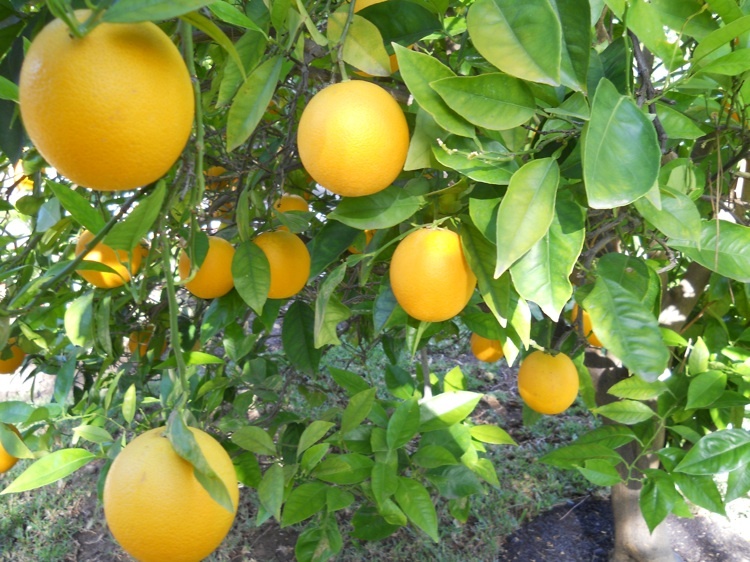 Each of these fruits lure us with the promise of the future. I’ve always wondered if that’s part of the attraction of gardening: looking forward. There’s always next year, the coming season, another seed packet or six-pack of vegetables. I have a lilac bush that hasn’t bloomed once during the seven years it’s been in the ground — now I’m giving it until Year Eight. But with that patience and willingness to wait and see, I’m also giving myself a ticket to next year. Amanda Hesser, the New York Times food editor and cookbook author, wrote of her life in France in a book called “The Cook and the Gardener,” a beautiful series of essays and recipes. A pivotal character in the book is Monsieur Milbert, the elderly and curmudgeonly gardener of the Burgundian chateau where she worked. Messr. Milbert toils ceaselessly throughout the seasons; it’s his ticket to eternity because there is always more work to be done. 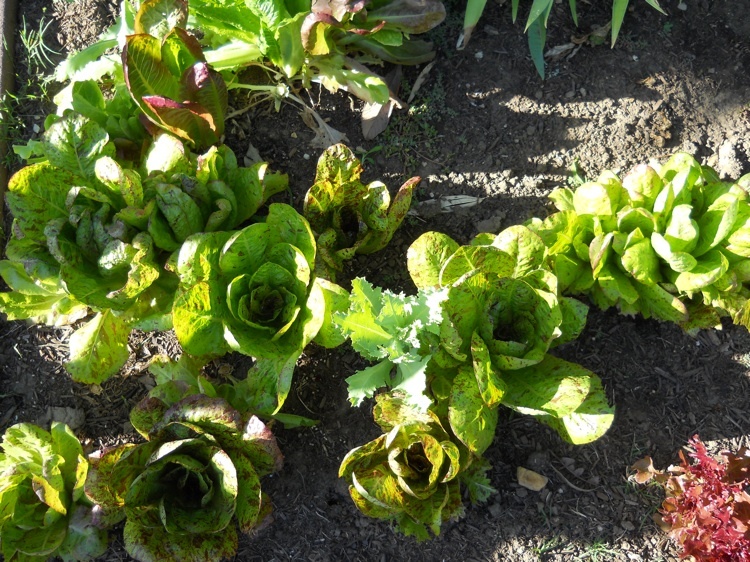 … and maybe planting some winter crops. Because there is always a next year in the garden. The Cheese Store of Beverly Hills is a world-class gourmet food store; we’re really, REALLY proud to have our products in their shop. Norbert and Tony possess two of the most refined palates in town; they’re super-knowledgeable about cheese and wine and everything in-between. These Beverly Hills cheesemeisters took home first-place honors in this year’s Grilled Cheese Invitational with the enigmatically titled sandwich, “Don’t Make Wet My Box.” Last year’s winning entry in the Kama Sutra Division featured Cottage Industry Hot & Sweet Mustard! And now — those fiendishly fabulous fromagers feature Cottage Industry Orange-Vanilla Marmalade in their store. They also have oodles of the mustard and will be happy to recommend all manner of cheeses and meats to accompany it. 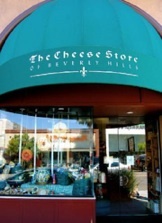 Hustle over to The Cheese Store of Beverly Hills and get your cheese on! Today! 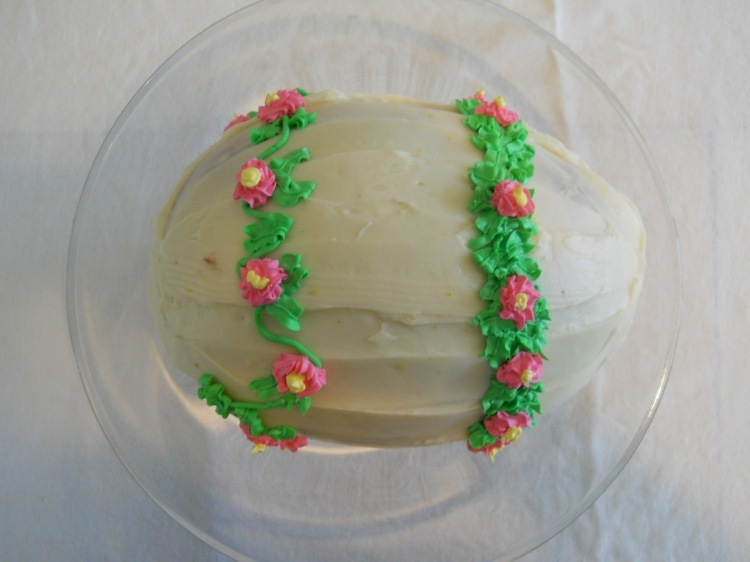 Friends and family celebrated with us Easter Sunday; nine gullible children searched for eggs in the back yard, their faces glowing with excitement and anticipation. One “golden egg” contained a $20 bill — the older kids aggressively searched for and found it, while little ones happily traded the contents of eight or nine eggs for one piece of their favorite bubblegum. After the egg hunt we dined on poached salmon with dill sauce, little ham-and-caramelized-onion quiches, asparagus and Gruyere tart, spinach salad with orange segments and an orange-juice dressing (you can find the recipe here) and oven-roasted asparagus with Maldon salt. And we enjoyed no fewer than three luscious home-made desserts — the above-pictured carrot cake, a pineapple upside-down cake brought by a lovely neighbor and a Norwegian orange cake brought by one of our dear friends. Cupcakes with caramel frosting for the little ones, nests of fluffy straw-colored icing in which perched a malted milk robin’s egg candy. A good time was had by all. The carrot cake was a recipe of my mother’s from the 1970s with carrots, raisins, pineapple and pecans; I omitted the nuts for a friend who’s allergic and it was still quite good. Interestingly, it called for cloves in addition to cinnamon and everyone felt that’s what set this cake apart. It’s a sturdy cake with lots of character; the frosting was a traditional cream-cheese frosting made a bit tangier with the addition of Meyer lemon zest. Spring is here! The days are longer, the nights warmer and we have so much to be grateful for — not least our good friends, the good food we enjoyed together and the joyous sounds of children making the day their own. Wow!! ArtisanalLA’s Spring Show is fabulous!! We’re at Santa Monica Place, 3rd & Broadway, with about 80 other vendors of local, quality products and services. Butchers, bakers and jam-makers — and so much more. The party started last night with a media/VIP reception from 7-9 p.m. and is open to the public today from 11-8 and tomorrow from 11-7. Event planners Shawna Dawson and Carrie Richard Clarke did an amazing job transforming a soulless industrial-type space into a hip urban setting practically overnight. You enter from the food court on the 3rd floor above Bloomingdale’s and wander through 50,000 square feet of artisanal food purveyors, workshops, incredible cafes and some of the best coffee known to humans, Intelligentsia Coffee. Come get your local on!